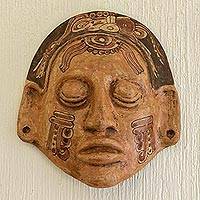 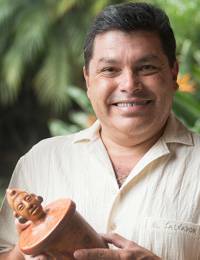 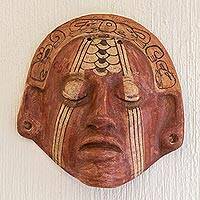 Oscar Rodolfo Mendoza celebrates the art of the Maya with this unique terracotta replica. 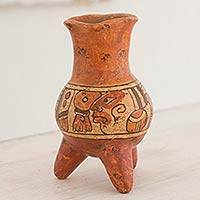 It is crafted by hand with the same ceramic techniques developed by the Maya Pipil people. 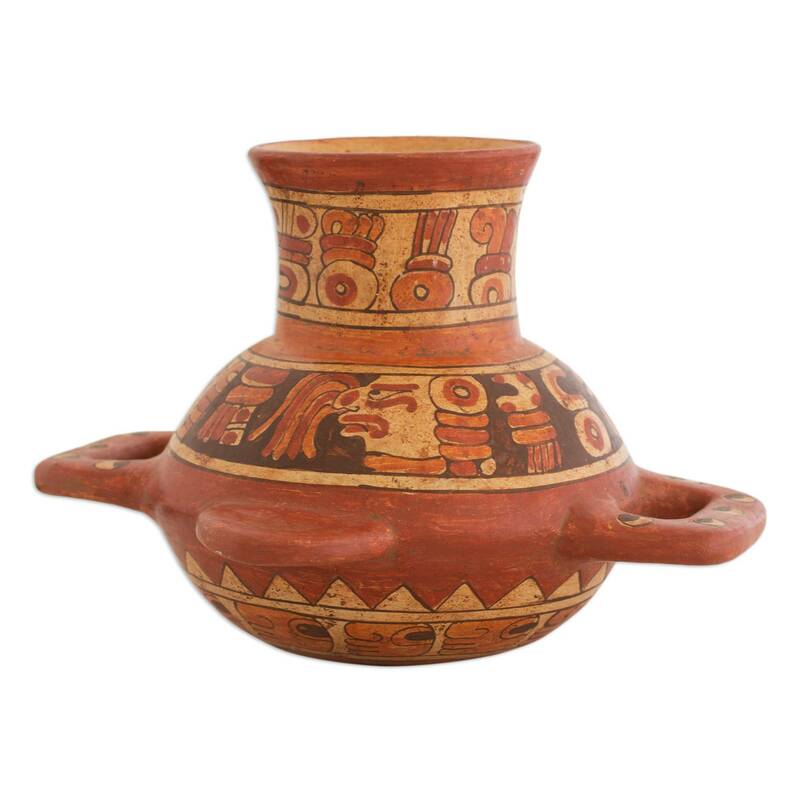 It is painted by hand featuring the legendary Maya iconography and it is treated to achieve an antiqued look. 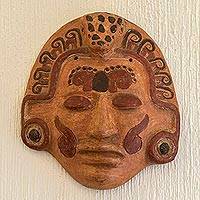 Artfully crafted by Oscar Rodolfo Mendoza from Central America.